It's fallback week, and Bryan and Peter are taking stock. Peter gives updates on his training, while Bryan looks for inspiration on his spin bike. They also walk for some great causes and search for signs of spring. Then, Bryan looks to Peter for advice on how to slowly get back into running. He then ignores all suggestions and forges is own BIG plans for 2019...and tries to bring Peter along for the ride. HWYRT returns to their studio at the Boston Public Library for a super-big episode! Peter shares his artistic talents and talks about his not-so-great Saturday run. Bryan describes his latest recovery efforts and introduces a special Run 4 All Women event hosted by their new ambassador (and HWYRT Artist-in-Residence) Andrea Bonney Gould. Then they are joined by physical therapist and elite runner Dr. Ian Nurse (just call him "Ian"). Ian talks about his clinic, Wellness in Motion Boston, where they specialize in treating soft-tissue related injuries and help get athletes back to their activities. He then shares his own history as a runner and how he still manages to run 100+ miles per week! 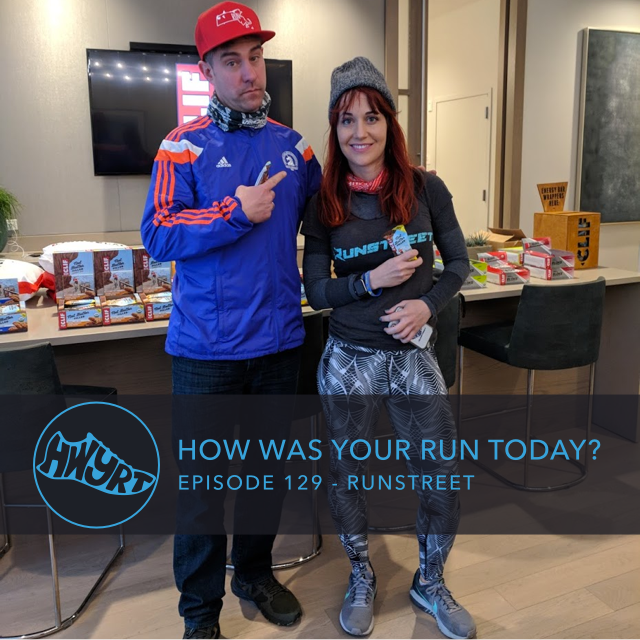 Ian also describes the role that running played in helping him meet his wife, elite runner Amanda Nurse, and their current lives as brand-new parents. Also discussed: the amazing Boston running community, the Boston Marathon experience (as seen from the front of the pack), how to run on easy days, the stretching gene, the importance of the right running shoes, and how Ian feels about trail running, ultras, and triathlons. Then, Igor Babushkin returns to face Peter and Bryan and discuss the elephant in the room—the Clyde Army Challenge. Plus, Jeremy Shaw-Munderback talks about life as a non-Clyde. Heath IQ is our sponsor for this episode! Bryan and Peter check in on the latest happenings. Bryan is back to walking stadiums and cheering for Artist-in-Residence Andrea Bonney Gould as she makes her triumphant return to running. Peter continues training for the BAA 5K and possibly running a shoe store out of his office. Then, the HWYRT guys join Ironman Certified Coach John Harris and athlete Rob Bozovich on their Endurance for Everyone podcast. 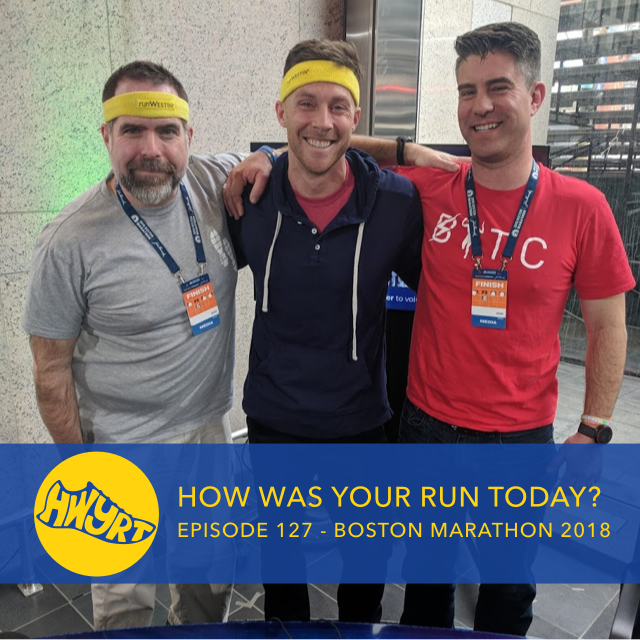 They talk about how Bryan and Peter got started in podcasting, the challenge of endurance racing, the pull of the running community, and why runners make the best triathletes. Plus, destination races! And, a chance to win some AMAZING prizes during Vinnie Cent's "A Streak to Remember" challenge. Health IQ is our sponsor for this episode! The 2018 Everybody in Boston Loves to Run Lovefest continues! 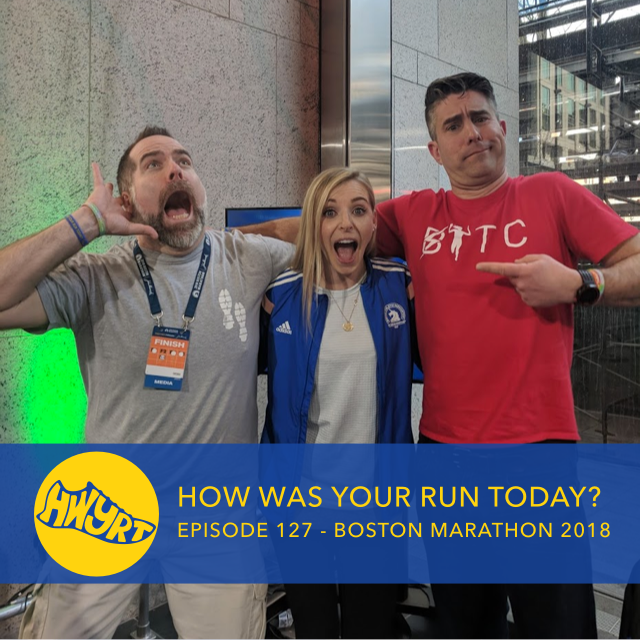 Peter and Bryan chat with more runners fundraising for the 2018 Boston Marathon, many of them first-time marathoners. They also catch up with chief Heartbreaker Dan Fitzgerald and, in a rare appearance, his silent partner. Plus, the charity raffle winners!